Your first retainer check appointment will be approximately 8-10 weeks after the removal of your braces. 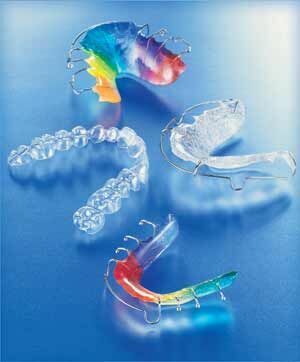 Clean retainers thoroughly once a day by running cool water over them. Brushing retainers removes the plaque, and eliminates odors. Efferdent or other appliance cleaners can be used but do not take the place of brushing. Take your retainers to your dentist if you have fillings done so that they can be checked for fit around the new fillings. There will be a new fee if you let your teeth move and want them straightened again. Remember, retainers, straight teeth and healthy smiles are for life!